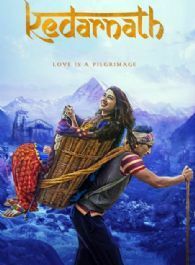 Kedarnath follows the journey of Mukku and Mansoor, a Hindu girl and a Muslim boy, who fall in love and face many obstacles including the Kedarnath floods of 2013, forcing them to face the ultimate test of their love. Kedarnath stars Sushant Singh Rajput and Sara Ali Khan in the lead roles. Directed by Abhishek Kapoor, the movie is slated to release on 7th December 2018.